Vokey wedge grinds are the Tour standard in creating shot versatility for any level of player. Learn how the proper wedge grind can help lower your score. Wedge grind is the manipulation or removal of material from the sole of the club, helping to improve contact with the turf. Grinds allow for more creativity and consistency around the green, letting you play with ball spin, flight, power, and other factors. 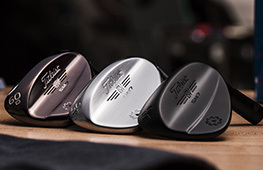 Titleist wedge grinds have taken wedge design further with Vokey SM7, a series of six wedge grinds that have each been meticulously developed through years of working with the best players in the world. The variety of Vokey grinds gives players the versatility in their bag to hit any wedge shot with confidence. It’s important to use the right wedge grinds for your swing type and course conditions, so you can be prepared to hit every kind of wedge shot. Vokey offers many wedge grind options for different situations. For instance, the L grind is ideal for firm conditions and sweeper swing styles, the M grind offers the most playability, and for some players, the best Vokey grind for sand is the K grind, with the highest bounce. Whatever your swing style or course condition, Vokey has the versatility to fit any player into their best short game ever. When using a perfectly fit wedge grind, you can trust that the club is going to do more of the work, even on difficult shots. Wedge bounce is also key to understanding wedge grind, as opening the blade presents more bounce, while closing it down presents less. Vokey grinds help you manipulate bounce more precisely: the high bounce wedge grinds like the D and K grinds offer more forgiveness on your wedge shots, while the low bounce L grind helps you create shots around the green. 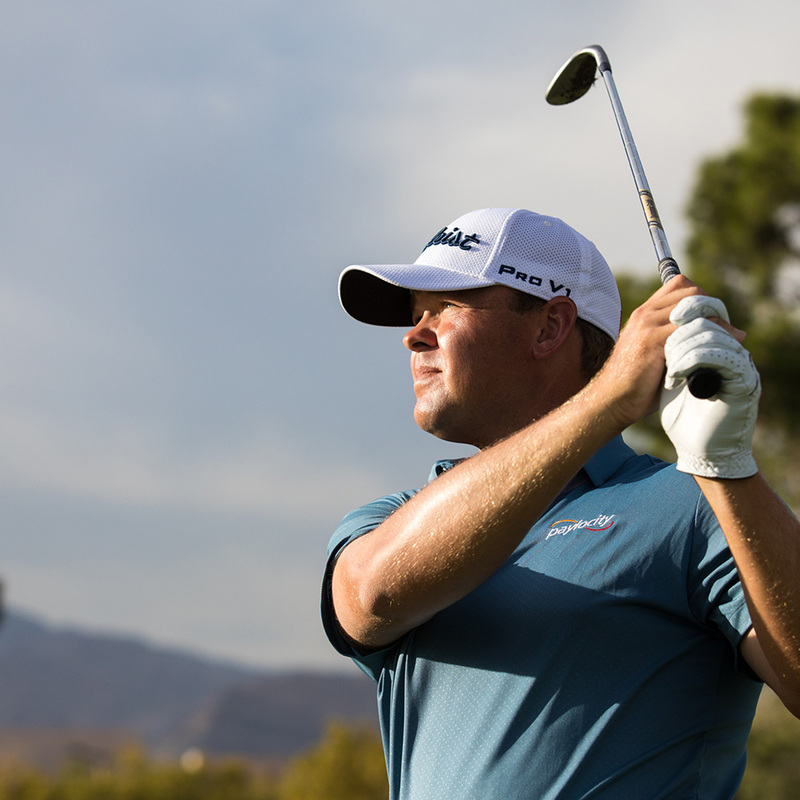 Wedge bounce and grind improves your consistency and control over your wedge shots. 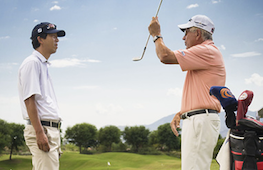 "Wedges need to be versatile and every player is different. It’s never one size fits all for wedges. That’s why we have many grind options." 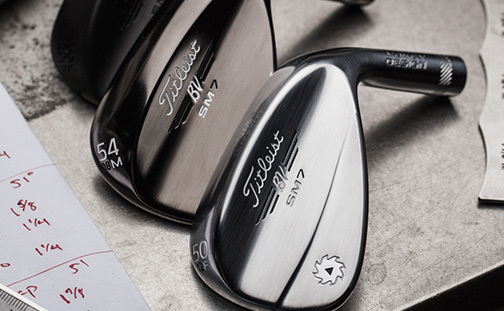 SM7 wedges are Tour-played and proven. Explore the different Vokey grinds, and get fit for your next golf wedge today. Every player has their own technique, and should use wedge grinds fit to their swing style. 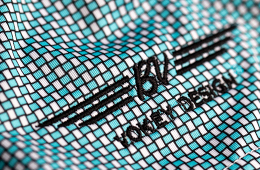 Find the Vokey wedge grind for you. What’s the best Vokey grind for sand? Vokey has worked with the best players in the world to create and perfect several different wedge grinds over the years. Certain grinds such as the K Grind and the D Grind tend to perform best from the sand, but it is important to get fit for your wedge to ensure maximum performance. 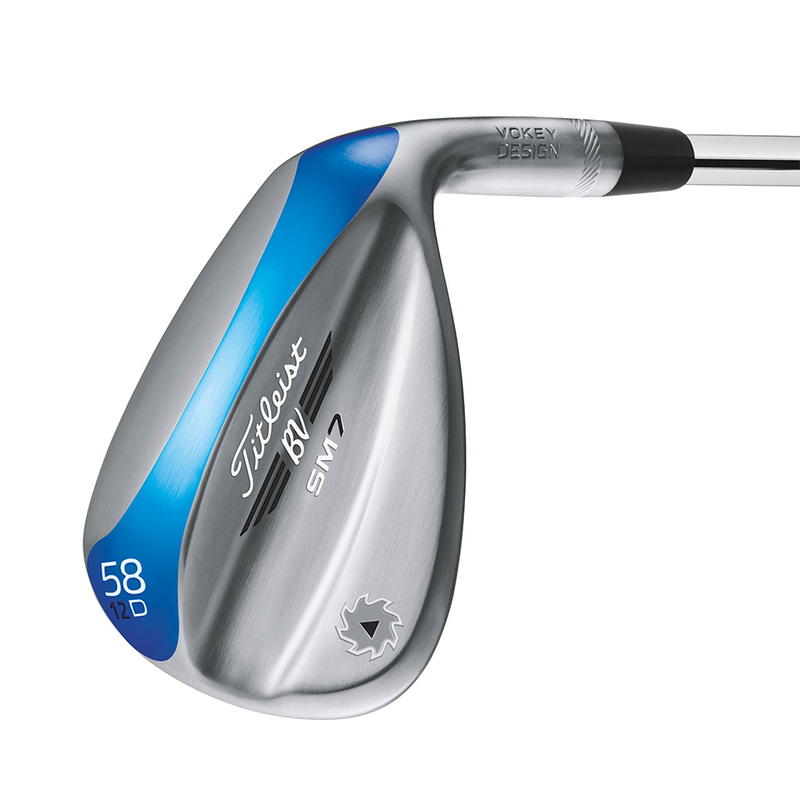 Does Vokey have wedge grind fittings? 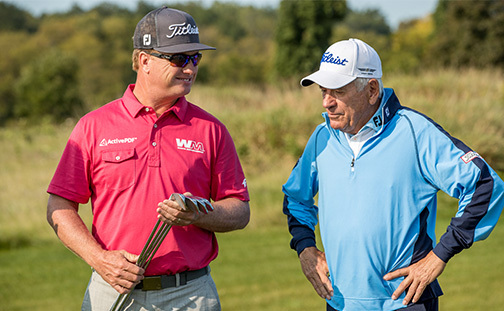 There are several ways to get fit for your Vokey wedges, from 1-on-1 fittings with Bob Vokey to free Titleist Thursday events. Please visit our custom fitting page for more information on wedge grind fitting. Are there custom wedge grinds? We just introduced the Hand Ground program through Vokey WedgeWorks. This program is designed for players looking to fine tune their wedges, just like the Tour pros. Learn more about our custom wedge grinds today. What is the best wedge grind for a high handicapper? There is no one-size-fits-all wedge. Each wedge in your bag is a tool and has a role play. To discover the high performance of Vokey wedges, achieve total confidence on every shot, and shoot lower scores, experience a Vokey wedge fitting for yourself. Find your next wedge according to the wedge bounce and wedge loft that works for your swing. Get started with the Wedge Selector Tool.